This evening we’re holding our eighth Demo Day, a chance for the 9 teams who have been through the BGV programme to present the progress they’ve made over the last 3 months. 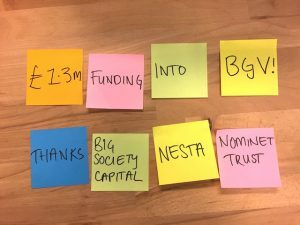 So we thought it was fitting to update the BGV community on how we’ve been getting on more generally, including data about all the ventures we’ve supported. These numbers are all up to the end of December 2015 when our alumni teams last provided us with information (they do this quarterly). We’re sharing some details here that other organisations might not but we think it’s important to be as open as we can. And we’ve exited one investment successfully (i.e. got more money back than we put in). 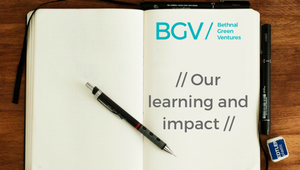 63% of our teams have raised further funding and the total raised by BGV alumni is now just under £20 million. 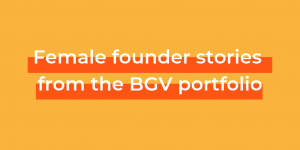 The active ventures have 203 employees, of which 38% are female. Three of our ventures have some kind of ‘mission lock’ either through their ownership or legal structure and many more are considering it. The reported number of beneficiaries of the ventures is 2.6 million people, although at this stage that number is unverified because most of our ventures are so early stage. 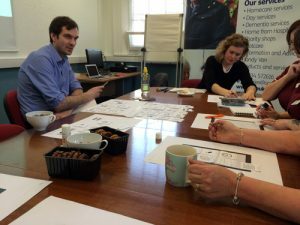 We’re working with all our alumni to get much better at measuring their impact this over time, especially as they themselves start to create impact reports which is something that we will also do later this year as part of our membership of the B Corp community. Our aim has always been to show that you can generate a financial return through investing in tech for good ventures. Since 2012 the total amount we’ve invested is £1.25 million and the estimated value of our investments to date is £2.6 million – an uplift of just over 100%. Don’t take this number too seriously though – while we use very commonly applied valuation techniques, a formal accounting valuation isn’t really possible because our ventures are so early stage. It’s also what investors would call ‘illiquid’ so nobody is getting too excited yet. We’re very proud of all the ventures in the portfolio including those teams where it didn’t work out and they’ve had to shut up shop. Starting tech for good ventures is hard – really hard – and takes a long time to do well. We’re only three and half years in but we think all the signs are that we are moving in the right direction. We’re excited about investing in more teams and helping founders turn their great ideas into sustainable solutions for some of the most pressing challenges we face. Applications for our next cohort will open on 3rd May so if you’ve got an idea for a tech for good venture we’d love to hear from you.